Hey Everybody! 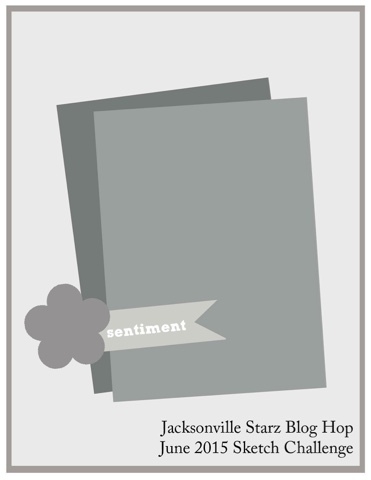 I've missed the last couple Jaxsonville Starz blog hops due to a wild and wooly schedule and I am so happy to be back this month!! You may be joining the hop now, or, you may have arrived here from Cari Verschueren's fabulous blog! Either way, welcome to it! This month is a sketch challenge and I had a lot of fun with it! I used my new Sprinkles of Life set and the Tree Builder Punch from the new catalog. I hope you like it! I stamped the flowers from the Sprinkles of Life set in Smoky Slate on water color paper and then I used my aqua painter (and a whole lot of colors) to paint them in. I used my heat tool to speed up the drying process (really, who can sit and just watch the paint dry-not me!) and added a little Dazzling Diamonds to some of the flowers to give it a little sparkle. Here's a close-up of the flowers. Oh yeah! I used the cupcake bottom from the stamp set and the candle sticks to make a basket for the flowers! I like the way it came out. Another fun thing I used on this card is the new In Color Envelope Paper. I love this new paper! It's thinner than our regular cardstock and is perfect for making envelopes, liners, or, adding a pop of color to a card like I did here (Mint Macaron stripes). Here's the sketch that my card was based on. 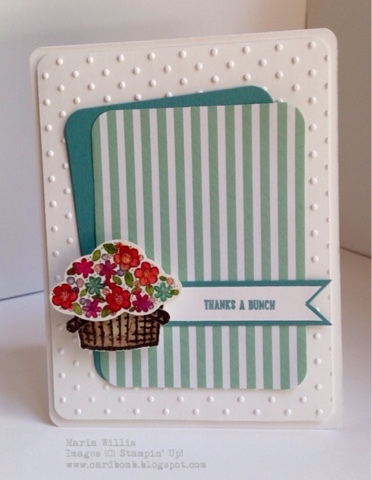 I'm also linking my card up to the TGIF challenge blog for the week. 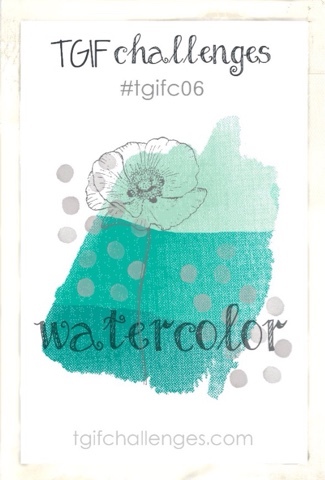 This week is a water color challenge and I'm excited to be able to play along at #TGIFC06. 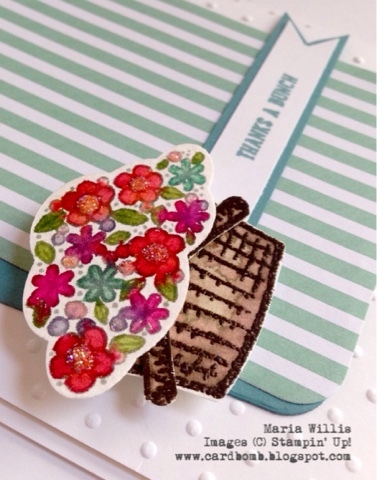 hopping along with us head on over to Rose Ann Marr's blog! Thanks for joining us and we'll see you next month for another hop! Absolutely love what you did with this card Maria! The color combo, the stamp set, all great! Cute Cute Cute! Sprinkles is such a versatile set, love how you did the colors on the basket & flowers. This is one of the best cards I have seen using Sprinkles of Life stamp set, the images watercolored look amazing! Totally cute.